Q.2.1 What Voicetronix hardware is supported by this software? Q.2.2 How many Voicetronix cards can I use with this? Q.2.3 Does the OpenPBX support Voice over IP? Q.4.1 What operating systems will this run on? 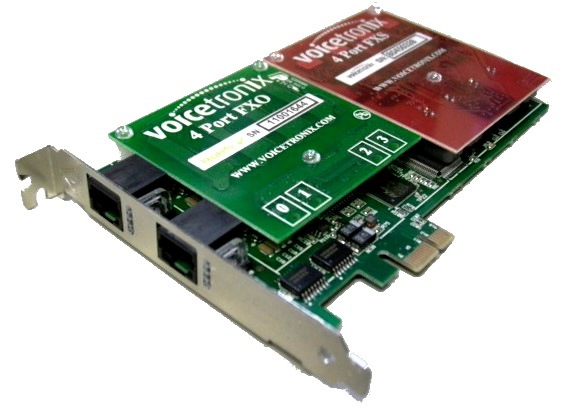 Q.4.2 What driver and Voicetronix cards are supported by this software? A.2.1 What Voicetronix hardware is supported by this software? 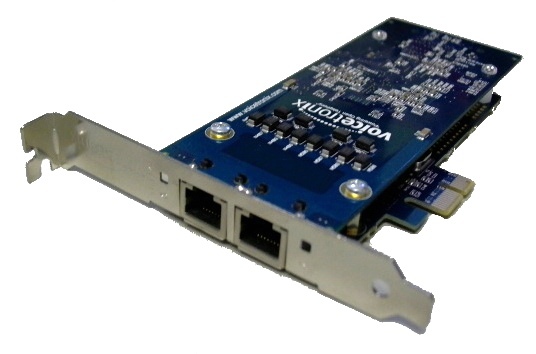 The next incarnation of our classic PBX application has been designed to operate with our OpenPRI v3 and OpenPCI cards which can scale to any density with only 1ms of delay. A.2.2 How many Voicetronix cards can I use with this? We regularly stress test on systems with 4 x OpenPRI v3 Octal cards (making, receiving and recording 960 simultaneous calls at call rates of around 4000 calls per minute). The architecture is highly scalable, making even higher densities than this possible on relatively modest servers. A.2.3 Does the OpenPBX support Voice over IP? Not at this time, but work is in prograss toward releasing support for VoIP handsets and trunking. A.4.1 What operating systems will this run on? All Linux distributions are supported. A.4.2 What driver and Voicetronix cards are supported by this software? CTServer is designed to work with vpb-driver and the OpenPCI series. All of the other hardware supported by it in the past has now reached end of life, though it does still support those cards for customers that already have them.